When someone is grieving, what should we say? How can we help? How do we comfort without offering shallow platitudes? What does the Bible mean when it says our help comes from the Lord? Scripture deals plainly and honestly with suffering and simultaneously points people to the rich hope we find in God. Bible Gateway interviewed Kaitlin Wernet (@KaitlinWernet), who, along with Caleb Faires, Rebecca Faires, and Cymone Wilder, wrote and designed The Book of Comforts: Genuine Encouragement for Hard Times (Zondervan, 2019). What need among people does this book satisfy? Kaitlin Wernet: We all need comfort. When we’re in pain, we don’t always know where to turn or what to believe. When our loved ones experience loss or hardship, it’s difficult to know what to say. 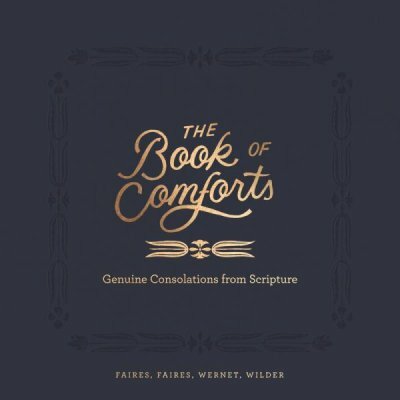 The Book of Comforts was born from the idea that no matter our pain or circumstances, Scripture offers the only true consolation for our grief and disappointments. There are many books available for the grieving, offering relatable personal stories or suggestions of how to begin the healing process. But they aren’t often books we want to display on our coffee table or discuss with our friends, which only leads to more isolation and discomfort. Our team—a group of writers and artists you may recognize as contributors to the She Reads Truth Bible—set out to create a beautiful book that sets suffering in the truest gospel-context of beauty from ashes and the turning point of redemption. My co-authors Caleb Faires, Rebecca Faires, Cymone Wilder, and I created The Book of Comforts as a means of offering a simple way to walk through daily difficulty, aided by the truth of the one thing that will never change—God’s Word. How does the Bible provide comfort for grief? Kaitlin Wernet: The Bible is the only thing to offer genuine comfort on both a big-picture scale—where God is redeeming all things and setting them right again for his glory—and a smaller-picture scale—where he understands our sorrows, grieves with us, and walks with us through our pain. What should people say when someone is grieving? What is the best way to help without offering shallow platitudes? Kaitlin Wernet: First of all, you’ve got it completely correct: you have to say something, even if it’s, “I don’t know what to say right now, but I’m here for you.” In almost every hard moment, the gift of genuinely showing up will speak the loudest. Even if someone has experienced grief before, each loss brings new reactions or waves of emotion they haven’t felt before. We are all awkward when it comes to knowing how to deal with this—your loved one may not know how they should feel, and you probably don’t have the right words to say. The best way to stumble through it is grace-filled and together. And when all else fails, Scripture will always be true. Texting, writing, or recalling God’s Words is a sure and go-to comfort when other words feel shallow and cliché. What personal grief have you experienced that influenced your part in this book? Kaitlin Wernet: My younger brother Kendall passed away when he was 20 years old in 2014. It was (and is) a sudden and acute loss, one that most days still stings with questions and knocks me off my feet without notice. I miss the way he’d begin every morning with an Eggo® waffle and end every evening doing more push-ups than the day before. I hate that I can’t text him to ask the name of the song I can never remember the words to and that I’ll never be an aunt to the children he’d already picked out names for. I’m an older sister suddenly living the unfamiliar life of an only child, and I wish I could shield my parents from our painful reality. And yet, God is kind. God is faithful. He has grace for my doubt and shows me compassion when all I want is answers and I am hopeful in his better plan, even though I cannot see it. What is the gift of divine consolation? Kaitlin Wernet: The four of us who created this book have very different stories, but there’s a common thread that connects them all: Our worst fears can come true, but the truth of the gospel will remain. Where our surroundings and circumstances fail to bring comfort, God is our divine consolation—the only comfort that lasts. He is our True comforter, and he can be trusted. How do you want people to use your book? Kaitlin Wernet: The Book of Comforts was created from a desire to acknowledge the tension of being human in a fallen world and what it means to hold both pain and hope. In my experience traditional grief books generally have a few consistent qualities—they’re isolating instead of recognizing the universal and communal aspect of grief, they’re prescriptive instead of pointing to the hope of the gospel, and aesthetically, they’re usually gray, black, or white. Filled with beautiful artwork and thoughtful essays, The Book of Comforts points to everlasting hope instead of overused clichés, while acknowledging both the aches of pain and the unwavering hope we have as children of God. We want it to live on coffee tables, inviting conversation about the hard things we’d rather brush past and the hope that’s sometimes hard to see. We pray it’ll be a refreshing gift to those who are hurting from their loved ones who don’t know what to say and how to help. We hope it’ll be a devotional you turn to daily or a book you continue to return to for reminders of God’s comfort. I love digging into Scripture and seeing the overall picture of God’s goodness played out through a million lineages, details, and stories. But this verse is a very sensory and tangible reminder of who he is. When I need comfort, I ask him to quiet me by his love and remember that he rejoices over me with gladness, no matter what I’m facing. Kaitlin Wernet: Bible Gateway is such a helpful resource for everything from comparing translations side-by-side when writing devotionals to providing thoughtful commentary and references for my personal study. I’m so grateful for Bible Gateway, the Bible Gateway App, and the Bible Audio app and the ways they allow me to carry truth wherever I go! The Book of Comforts is published by HarperCollins Christian Publishing, Inc., the parent company of Bible Gateway. Bio: Kaitlin Wernet is a storyteller surrendered to hope. Forever passionate about holding the tension of darkness and light, she is grateful for the Good News that acknowledges and redeems both. With a journalism degree from the University of South Carolina, she spends her days writing everything from marketing strategies and prizeworthy puns to nonfiction essays and She Reads Truth devotionals. Living in Nashville, Tennessee by way of Asheville, North Carolina, she’s always planning her next big travel adventure but vows to only plant roots in cities that rhyme. Caleb Faires was trained in drawing since childhood and he just can’t shake those early lessons. He has spent his life drawing and studied illustration, painting, and sculpture at Hillsdale College in Michigan. 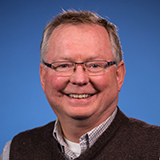 He has been fortunate to illustrate and design for private collectors, ad campaigns, and publishers. He also serves as a professor at New College Franklin, teaching drawing and sculpture. In addition to his artwork, Caleb is a contributing writer at He Reads Truth. He lives in a log cabin in Tennessee with his lovely wife and five children, where he continues to illustrate and write. Rebecca Faires loves the gospel story. And she needs it every morning when she wakes up to raise her five little people. Rebecca holds a bachelor’s degree from Hillsdale College in German, and most recently worked as the managing editor and writer at She Reads Truth. She now works from home to live her dream of writing and illustrating books with her favorite mountain man. They work from a log cabin in the hills of Tennessee where she enjoys sitting on the porch when it rains, surprises gone terribly wrong, baby hummingbirds, the Oxford English Dictionary, and getting in way over her head. Cymone Wilder is a Nashville based designer, lettering artist, and sometimes photographer. She holds a degree in Art from Olivet Nazarene University, and has a professional, marketing-focused design background. She is fiercely passionate about producing meaningful and long-lasting work, drawing inspiration from the very real and analog world around her. Since 2013 she has collaborated with amazing clients–creating custom lettering artwork for established brands, bibles, books, apparel, and much more. Previous Post Attention: I am planning to take a short vacation from April 22- April 26. I will have no Internet access, but intend to continue posting until then. I will resume my posts after I return. Thank you all for your kind viewer support and comments. And please continue to show your viewership to Pat Veen (Child of God) while I’m away. Love to you all in Christ. Timothy.